Tony is a Core Participant in the Infected Blood Public Inquiry. 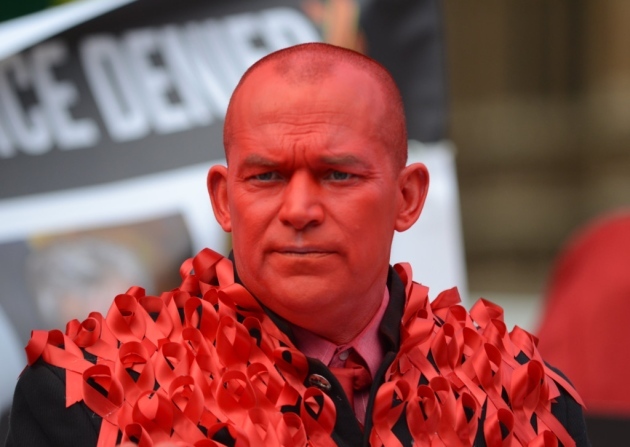 Tony has become well known for "going-red" to raise awareness about the Contaminated Blood Scandal. Tony has played a key role in organising various Public Demonstrations. Tony's Father, Barry, died in 1986 after being infected with Hepatitis and HIV from contaminated Factor VIII products. Tony has also lost other family members as a result of infected Factor products. BBC 11/04/17 "Blood contamination tore my family apart"
Newham Recorder - 28/01/15 "St Neots man calls for justice from contaminated blood inquiry after losing three family members"